Emergencies can happen at any time… that’s why they are called emergencies! Although you are never truly prepared for an emergency situation, it helps to have some tools handy to better prepare you. Here are some essential tools you need in your car trunk in case of an emergency! Spare Tire, Tire Jack, and Tire Iron. If you are anything like me, riding down the highway seeing pieces of blown out tires gives you an uneasy feeling. 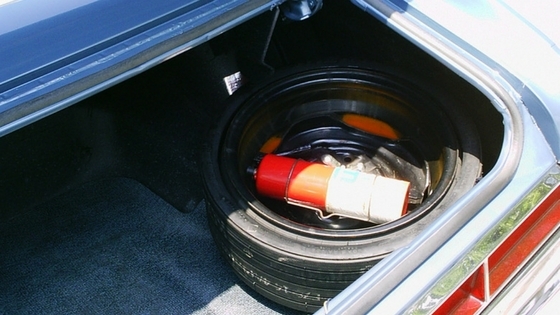 You never know when you could experience a flat tire, so it’s smart to keep a spare just in case. Here’s how to change a tire in case you need a refresher. Jumper Cables. These are literally your car’s life saver. If ever your car battery goes dead, the jumper cables are there to bring it back to life. Not sure how to jumpstart a car? Here are some tips. First Aid Kit. Life happens. You fall and scrape your knee during a jog… or worse, you end up in a car accident needing to be patched up before the ambulance arrives. First aid kits are great for these life accidents and can be bought at almost any store. Multi-tools. These are great for a quick repair, or if you need a sharp tool they can be used as screwdrivers and/or scissors. Here are the current top multi-tools. Flares. Though flash lights are great, they don’t quite attract the attention and send out the S.O.S. message like flares do. These red hot babies can be purchased at Walmart and Autozone. Printed Maps. Yes, they do still exist! Google Maps is great, but unfortunately technology fails. In case of an emergency situation when you end up stuck in the middle of nowhere, an Atlas map would be of great help. Mylar/Space Blanket. Sure, when you put it on you look like you are wrapped in a giant roll of tin foil… but these tin foil-esque blankets have many awesome uses and are one of the best emergency essentials on this list! Not only will they keep you warm, they are waterproof and can be used for catching rain. For more information on the many uses of the space blanket, click here. Ice Scraper. There is nothing worse than a block of ice covering your windshield preventing you from being able to drive. An ice scraper is the perfect tool during the winter, and I suggest you buy one ASAP because it will be here before you know it! Food and Water. It’s always great to keep emergency food and water in the car… not just for an emergency, but for long car rides with few travel stops available. I recommend foods that don’t spoil or need to be refrigerated, such as crackers, granola bars, and peanut butter. Portable Phone Charger. The thought of your phone dying is already scary enough, but imagine being stranded with no way to communicate because of your dead battery. Portable phone chargers are one of the best inventions and can be bought at stores like Best Buy. In light of THIS recent article, I wanted to do a blog post about the same topic! If you’ve ever seen your gas light come on and stressed about whether to pull over immediately to refill or wait until the next county line… then you’re not alone. 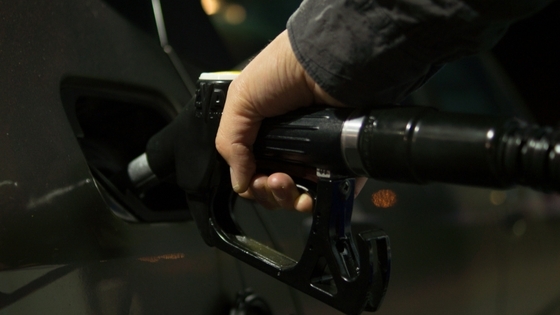 It’s a common mystery: How far can your car go once the tank is on empty? Luckily, we have a lot of resources to help! Tank on Empty is a site that allows you to look up your car’s exact make and model, and then tells you how many miles your car can go once the “empty” light is on. Just to give you an example, here are some statistics of how far a car can go until it runs out of gas completely, according to the website: -Honda Civic: average of 43.31 miles -Toyota Corolla: average of 45.89 miles -Ford F-150: average of 39.08 miles -Chevrolet Silverado: average of 33.30 miles I’d like to emphasize that these are just averages. Also, these statistics are all user-submitted (anyone can enter their car’s make, model, and distance), so you shouldn’t take this as scientific fact. BUT it’s interesting information and could be helpful if you ever find yourself down a lonely stretch of highway with no gas stations in sight! When do I do the trade-in? Though you get the benefit of going to the dealership and buying a car all in one shot, you should treat the transactions separately to allow for the best deal. The trade-in value should be negotiated first, then the new car sale price. Since the trade-in is the weaker end of the deal, you’ll want to establish this before deciding what car you’ll go for. 2. Know your car’s blind spots. Most car have spots where driver visibility is less than ideal. When you start driving a new car, be sure to sit in the driver’s seat and look in each rearview mirror and over your shoulders to see if any spots are blocked by head rests, passengers or the car body itself. Just knowing these blind spots will give you greater caution when making turns and lane changes. 3. Sit with good posture. Even if you slouch everywhere else, maintain an upright position the entire time you drive! It will give you the best visibility and control of the wheel. Refrain from getting casual with your position. Disaster could strike at any moment, and a slouching, one-hand-on-the-wheel posture won’t help you get control any quicker. 4. Avoid the fast lane. Did you know most freeway accidents occur in the left hand lane? Here, cars are going the fastest and also have the least room for escaping bad situations. By staying toward the right side of the freeway, you won’t feel pressured to go faster, and you’ll be able to make a quick exit or pull off onto the side of the road if needed. 5. Stay off the road in bad weather. This one might be common sense, but simply staying home in bad weather brings your chance of a car accident down to zero! When it’s snowing or even raining, plan your trips for later on and avoid the mess. 6. Drive the speed limit. Not only is this a good tip, but it’s the law! The faster you’re driving, the less control you have in the case of emergency. 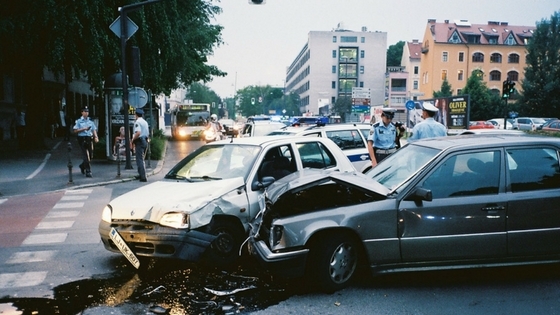 Though many car accidents still happen at a low speed, the most severe car accidents happen at high speeds. 7. Anticipate pedestrians. This is another key element of defensive driving, like we talked about at the beginning of this article. You never know when a person could run out into the road, so always keep your eyes scanning the street and be prepared to stop in areas with many pedestrians. 8. Pause after the light turns green. Sure, you’re eager to get going after waiting at what sometimes feels like eternity at a red light! But a slight pause before pushing the gas pedal could actually save your life! Cars that run red lights usually do so in the yelllow-to-red period just after the light turns, so you never know if a car could come barreling through the intersection even though it’s your turn to go. 9. Test your car’s limits in a safe environment. I recommend heading to a deserted parking lot to really get to know your car. Drive at a slow speed and see how your car handles if you need to make a sudden slam on the breaks or sharp turn, then learn how you should react in these situations. Because there aren’t any cars around and you’re going slow, you won’t be putting yourself or anyone else in danger, and you’ll learn valuable skills that could come in handy on the road. 10. Learn to drive a race car. Similar to learning your cars limits, many people recommend learning to drive a race car to really understand how to manage your vehicle. Not only is it a fun activity, but it will teach you a TON about handling the steering wheel, gas and breaks at high speeds. You could even make a date out of it! The Penny Method. Tried and true, using a penny to check the wear of your tire tread is a great way to go. Just take a penny, and dear, ol’ Lincoln’s head upside down, stick it between the tread block of the tire. If you can see the top of Lincoln’s head, the tire’s treads are shallow and worn and you should probably consider replacing the tires. If part his head is covered, the tires should probably be fine..
Tire Age. You should be replacing your tires around every 10 years. Of course, it depends on the model you drive, the type of tire you have, and where you’re driving. Exposure to Elements. If your tires have been exposed to extreme amounts of heat or cold, there’s potential for problems. In most places, the weather is not extreme enough to cause damage, but it is a good thing to keep in mind. Check Your Tire Pressure. If you’re wondering if it’s time for new tires, check your tire pressure once a week for a couple of weeks. 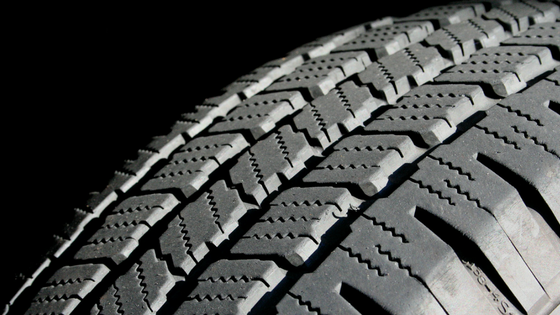 Tires deflate at a rate of about one pound per square inch per month. If you are losing an excessive amount of air, your tire either needs to be fixed or replaced. Do a Visual Check Up. Whenever you are checking your tire pressure, take a moment and do a visual check up. Look for cracks in the sidewall, a sign your tires could be close to a blowout, as well as for bulges and blisters. Keep a record of when you get your tires replaced and any time you have them repaired. Make sure you check your tires a couple times a year at the very least to make sure they are still safe to use! If you plan to trade in your car. Oftentimes, the trade-in value is low enough that you’ll save more money by leasing a car rather than buying and then trading in! If you need a car immediately, but don’t have the money for a down payment. 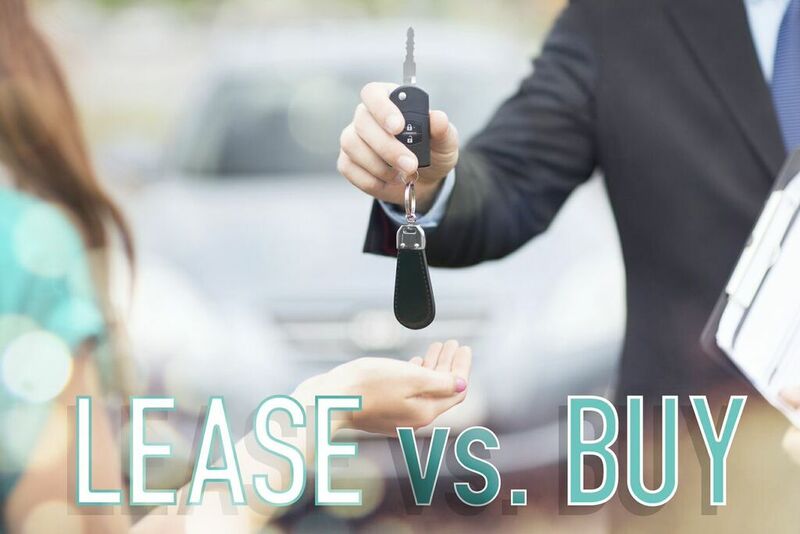 Down payments on a leased car are significantly lower than on purchased vehicles. So if you’re in need of a car quickly and don’t have a lot of money saved up, leasing is a great option. If you need low monthly payments. The monthly payments on a leased car are lower than on a car you buy. This is because the payments are based on the decreased value of the car as time goes on. If you want the latest and greatest. If you frequently get the urge to change up your ride, leasing is the way to go. You’ll have lower payments and not have to worry about depreciation. Most car lease agreements last three years, meaning you’ll never be stuck driving an old clunker. Instead, you’ll experience all the newest technology and features. If you want a tax break. When owning a car, you pay taxes on the overall price of the vehicle. But if you lease a car, you’ll only have to pay taxes on the total value of the payments, which will be significantly lower than the price of the car. If you don’t drive much. People who lease a car usually have a 10,000 to 15,000 mile annual limit on their car, so leasing is a better option for people who aren’t going to go over that limit. If you want to always drive under warranty. Most cars are under warranty for just about three years, which is the usual duration of a car lease. Therefore, people who lease a car will always be under warranty and be covered for unexpected repairs needed on the car. We all love that “new car” smell! It’s one of the best parts about buying a new car. Sadly, the excitement of driving a new car fades right along with the new car smell much sooner than any of us would want. I’ve learned a few new tricks to keep that new car smell, and I am going to pass them on to you! New mats: Aside from being nit-picky about what you bring into your car and how often you clean it, my favorite trick for bringing back the new car smell is getting new mats. Once your car is totally clean and free of any odd smells, the scent from the floor mats will permeate the freshly cleaned interior of your car. Beware of the sun: New car scent can come from the chemicals used to keep leather, vinyl, and rubber soft. However, heat can dry those chemicals out very quickly. To avoid this, try to keep your car out of the sun as much as possible. Crack a window when you can, use a sun-shade, park in the sun, and fight for the garage spot at all costs. 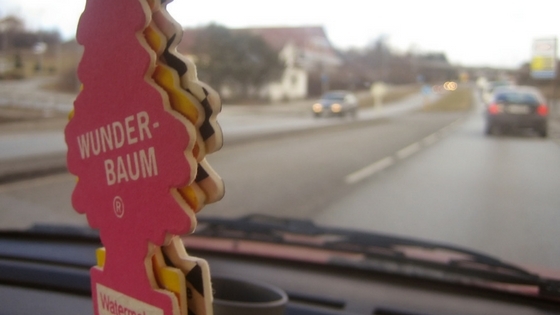 Avoid air fresheners: Let’s be serious, that car-scented air freshener smells nothing like a new car. If you’re starting to get an odd smell in your car, you’re much better off getting it detailed or replacing the air filters than by trying to mask the smell with a colored tree. Think about the last time you had a late Friday night out. How many hours of sleep did you get? Four, maybe five? We all know the average adult needs between seven and nine hours, but some of us seem to function pretty well when we’re a bit sleep deprived. You might think you’re okay to drive, but you should probably think again. Fatigue related accidents can happen at any time of the day, not just late at night or early in the morning. Driving drowsy can be even more dangerous than drunk driving because even a drunk person can brake… sleeping drivers can’t. If you got less than seven hours of sleep the night before, or have been awake for more than 17 hours, here are some simple steps you can take to determine if you are safe to drive: Answer a list of questions. I am totally in favor of printing out a copy of a questionnaire like the one the RACV (Rural Ambulance Victoria and Metropolitan Ambulance Service) has put together. Tape it to the inside of your visor so you can have easy access to it anytime you are about to drive after a restless night’s sleep or long work day. The transport for New South Wales came up with an excellent quiz you can take to determine if you’re too tired to drive… and, if I’m being honest, it’s pretty fun to take! Bookmark this on your smartphone and take it every time you get ready to drive somewhere while feeling sleepy. I know it can seem excessive to take an Uber or hitch a ride from a friend when you’re not drunk and you feel functional… but it definitely beats the alternative. Wouldn’t you rather be safe than sorry? Just remember, if you got fewer than seven hours of sleep and/or have been awake for more than 17 hours, you may be better off taking a power nap before you get behind the wheel. With all the hype about leasing these days, it’s hard to really know what the best deal is. The numbers always seem great, but you ask yourself if there’s a catch. Do you really want to pay to “borrow” a car? If you’ve had any worries or questions about leasing a car, here is the low-down about leasing: Only Pay for Part of Your New Car Wouldn’t you love to pay way less for something than it’s worth? You can with a lease! That’s because a car loan is based on the full price of a new car, while a lease is based on only a percentage of the car’s price. So instead of making payments on the full retail cost of a car, you only make payments on its estimated value at the end of the lease, which is usually closer to half the cost. Money for Down Payment If you only have a small down payment saved up, leasing may also be better for you. 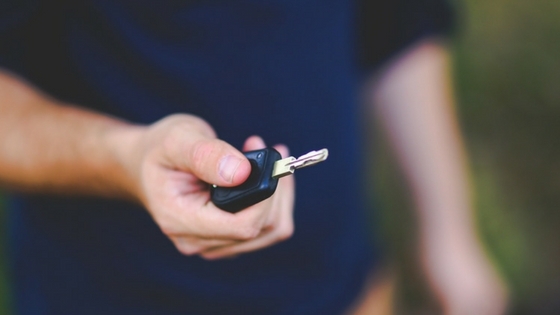 Many car leases require money up front, although the down payment is negotiable. 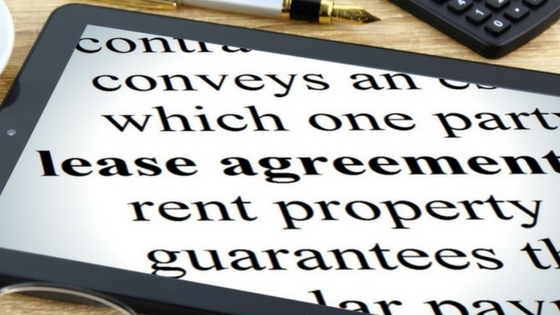 Many advertised lease offers will promote low payments, but require a sizeable down payment. If you want to put as little down as possible, remember that your monthly lease payments will be higher. Warranties One of the benefits of getting a new car is the bumper-to-bumper warranties. And since many bumper-to-bumper warranties last for three years, you’re covered for the entire lease! That means the car is usually covered under warranty for repairs for the duration of the lease. All you really have to take care of is the routine maintenance, like oil changes, tire rotations, and any recommended maintenance from the manufacturer. The Latest and Greatest One of the more obvious reasons to lease is that you always get to drive a new car! Since you’re only leasing for a few years at a time, you can always get the latest and greatest style and features. And as an added bonus, you don’t have to worry about selling the car or getting a good price for your trade-in. When the lease is up, you can simply turn in the car and walk away! Is your interest perked? Stop by your local dealer for more information about leasing!